Share the post "Stop Dog Scratching: The Cause of Dog Scratching and How to Prevent It"
There are millions of dog owners desperate to learn how to stop dog scratching. Whether from fleas, a food allergy, or a fixation on their skin, a dog that keeps scratching can cause hot spots, infections, and other skin problems that can progress to severe long term problems if the scratching persists. Wouldn’t you rather know how to deal with a minor dog health problem before it turned into a major one? Wouldn’t it be great if you could save money by not going to the vet needlessly when you can diagnose and treat minor dog health issues yourself? There are multiple reasons a dog might scratch incessantly. Before you can stop dog scratching, you must first identify the root cause. Infection – Infections can be caused by bacteria, yeast, or fungi. Look for greasy sores, hairless patches, or red swelling for any of the three. Neurogenic – This is a nervous issue that can be caused by excessive licking and chewing. Often, this is caused by a lack of exercise or mental stimulation. It can also be caused by separation anxiety. Allergenic – Food allergies, flea allergies, plant and dust allergies, and other allergies can all cause skin problems that lead to severe itching. Nutritional – A dog that doesn’t get the right nutrients in their diet can get dry skin, developing eczema, sores, or simply bad hair that leads to dryness. Environmental – Too much water from swimming, digging, or playing outside can cause scratching as well. Parasites – All parasites can cause itching, including ticks, fleas, flies, gnats, and mites. Most medications can stop parasites. As you can see, before you can stop dog scratching, you must first identify why the scratching started in the first place. Vets cost a lot of money. And your dog’s scratching may be something easily remedied. Before you visit the vet there are some dog health books on the market that can pin point exactly what the problem is and give you a home remedy for the scratching. 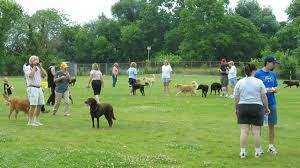 One such guide is called the Ultimate Guide to Dog Health. When you go to stop dog scratching, the hardest to stop is the neurogenic cause. All five other issues can be treated with shifts in diet, medication, or change in their exercise routines. For chronic, neurogenic itching, the first thing you really need to do is pinpoint why the dog might feel the urge to continuously scratch his skin. First, make sure your dog is getting enough exercise. Most of the time, the dog is just bored and has developed a neurotic tick to continuously itch or lick, almost hypnotically. To stop dog scratching due to boredom, you may also need to avert that behaviour. You can do this by putting bitter apple spray or cayenne pepper on your dog’s favourite licking spots. You can also get a cone from the vet that will not allow the dog to reach those itching hot spots. Once the dog has a better, more active exercise routine, you will be able to slowly return their other activities to normal, removing the cone and the spray. Most dog scratching can be treated with home remedies, which are provided in the Ultimate Guide to Dog Health. 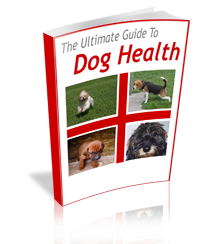 In fact, read the reviews on the Ultimate Guide to Dog Health right here. It really is one of the best dog health books on line and can save you thousands of dollars. Now, if your dog continues scratching, make sure you visit the vet and have your dog thoroughly checked. If it is an infection, your dog will need some form of antibiotics, antifungal or cream to remove the effects. Allergies will be treated with antihistamines and a change in diet, and parasites can be treated with flea baths and medications. Ultimately, your goal as a dog owner is to pay close attention to why your dog might start scratching. Most of the time, it can be easily fixed with one of the solutions given in The Ultimate Guide to Dog Health.